QuickTime is powerful media technology that works on Mac and PC with just about every popular video or audio formats you come across. Here, a list of best QuickTime plug-ins, just install the QuickTime plug-ins below. With QuickTime plug-ins, you can get additional QuickTime supported formats. Let’s fix up your problems. If your QuickTime crashes in video playback, The easiest fix is to use a different web browser. You won’t encounter this issue if you use Internet Explorer or Google Chrome. If you don’t want to stop using your Firefox browser, just have a quick check for your browser. Usually QuickTime Plug-in for Chrome/Firefox/Safari is activated by default. If not, just activate it. 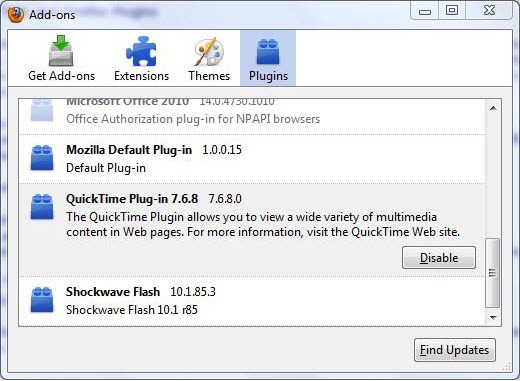 Further Reading: How to install the QuickTime plug-in on Internet Explorer for Windows? DivX Plus Web Player lets you stream popular web video formats in your browser such as .avi, .mkv, and .divx. Some websites require the DivX Web Player to properly display their content. To let QuickTime work with Divx/Xvid code, you need to have Divx/Xvid components installed, so you can play Divx and Xvid video flawlessly. 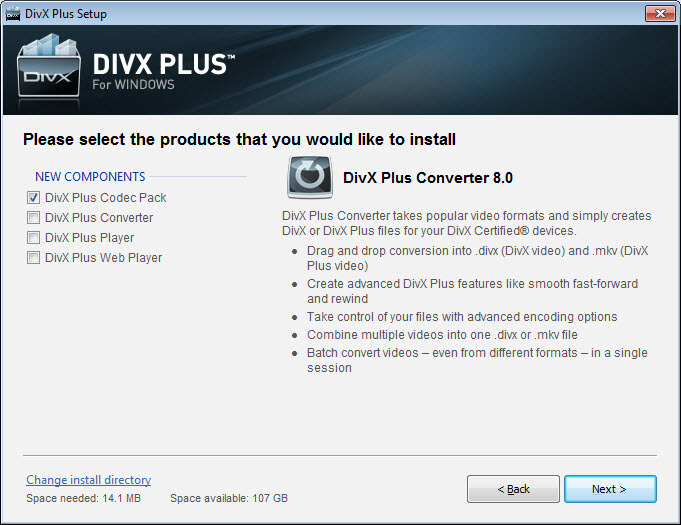 In case that your Divx video has no sound, just download Divx components to help you. What’s more? Apple has removed the functionality of some third-party programs since Mac 10.9. If your video can’t be played via QuickTime, just try Video Converter Ultimate as a QuickTime alternative. 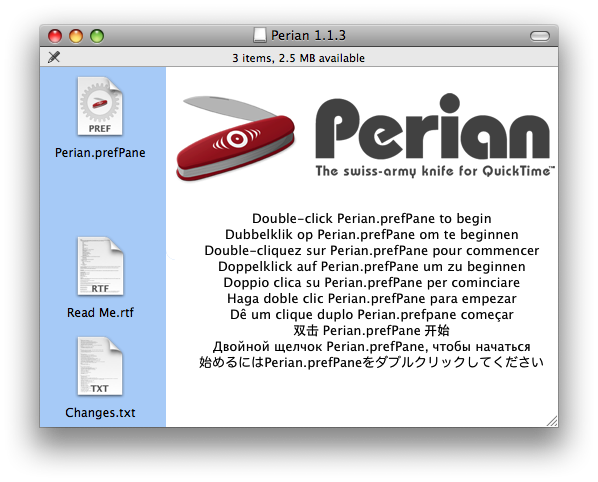 Perian can be recognized as the Swiss-army knife of QuickTime, or saying as add-in of QuickTime. It enables QuickTime to play many popular video formats that not supported by QuickTime natively, like WebM/VP8, MKV. Perian codec is open-source and you can download Perain here. Flip4Mac is a proprietary digital media component plugin that provides additional functionality to the Apple Macintosh QuickTime player program. After installation, it allows Mac users to playback the streaming content media developed for the Microsoft Operating system’s Windows Media Player – i.e. the Windows Media Video (wmv) and Windows Media Audio (wma) file formats in the QuickTime player. Now, you can configure the QuickTime Plugin for work with certain file types. You can only choose which one you like. 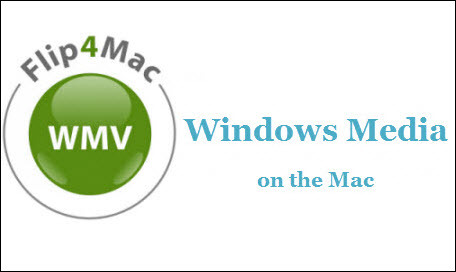 Recently many people met video playback problems occurred, when your QuickTime player can not play WMV and other format files like MKV, AVI, M4V, FLV, AVCHD, MTS, you may need Pavtube Video Converter for Windows/Mac help you to play WMV, MKV, AVI, FLV, AVCHD, MTS, TiVo, VOB, MPG and other files on Windows or Mac, and it can convert video files to compatible format for portable devices, like iPad Air, iPad mini 2, new iPad, Android smartphone or tablets, besides it can help you to convert these clips to FCP X or iMovie native supported codec for editing. Just get it and have a try.